May you be making mistakes in ASO? 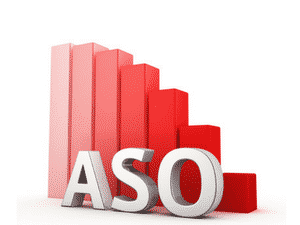 ASO (application store optimization), involves actions taken for increasing the visibility of an app up to the maximum level on the app stores where is offered to the users. When creating a mobile app, sometimes the process of finding the right keywords for the category and the target audience of the app can be difficult. However, choosing the words with a large volume of searches but have no relevance to the app or the needs of the mobile users will not be too helpful from an ASO point of view. Instead, considering the field in which your app focuses, its functions, and the value it provides to the users, may make it considerably easier for you to come up with the right keywords. Thinking of ASO as something consisting solely of choosing keywords, appear as one of the most often made mistakes. In truth, visual elements that show the way of use of the app such as photos and videos are highly effective in impressing the users. Therefore, featuring various visuals in your app page in the store is a good practice. This way, you can carry the downloads of your app to higher levels in no time. Every problem experienced during the use of a mobile app can lead to a decrease in the time spent on using the app, or even into the outright loss of the users. Therefore, running the app through various tests, and trying their adequacy in areas like user experience, functionality and design will be an act which is lifesaving for the app. It wouldn’t be wrong to call ASO as the sum of efforts that allow your app to shine among the ever-increasing numbers of other mobile apps. However, care needs to be taken to ensure that the right steps are being taken about it, and improvements align with the dynamic grounds of the mobile app world need to be kept coming. Otherwise, not being able to keep up with the competition, and being unable to shine through millions of other apps will, unfortunately, be among the possibilities. Moreover, when we consider that today, as the use of mobile apps ever increase, many companies own at least one app to be able to reach their target audiences, it becomes apparent how important the ASO is. If you do not have a mobile app yet, you can create it with MobiRoller without the need for any knowledge of coding. Create your MobiRoller account now, and own your mobile app in a matter of minutes.